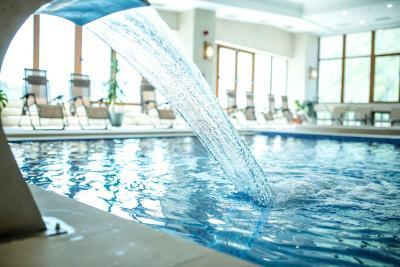 Lock in a great price for Grand Hotel Minerva Resort & SPA – rated 8.9 by recent guests! 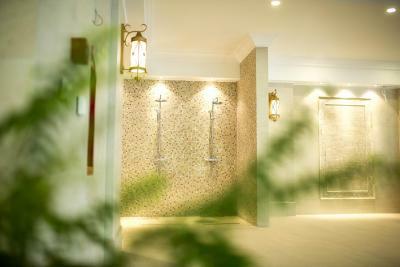 The Spa was a nice place, the rooms were clean and cosy. The food was ok, we had a great Weekend me and my wife. Clean. Quite. Nice pool and sauna available. Super breakfast. All new furniture and facilities, they just open this year after renovations. Lovely hotel, I really hope guests will treat the facility with respect. Room, although relatively small, was comfortable. I really enjoyed the saunas. Breakfast was fine, with several items to choose from. I liked the a la carte restaurant as well, most of the dishes served there for dinner were tasty, and priced fairly. Thank you, George and Ilie for good service. Everything!!! First the service, the staff was overly friendly and helpful and smiling. I was totally shocked, in a very good way. 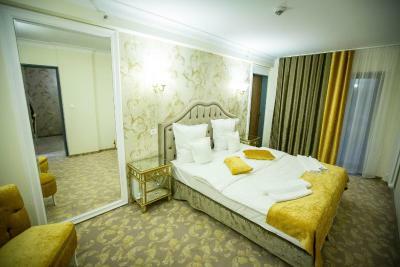 (being a romanian, in a romanian hotel) The room (1307), was very clean, nice smell, comfy bed. 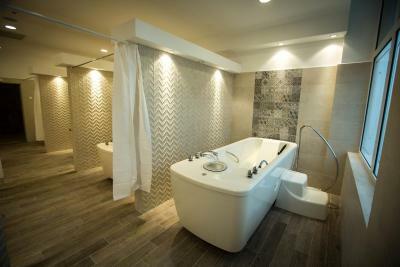 The bathroom also clean , big shower, good quality shampoo and body lotion. 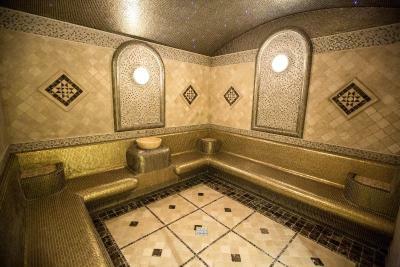 The Spa section, or was a dream...beautiful smell, clean floor, cristalyne water. 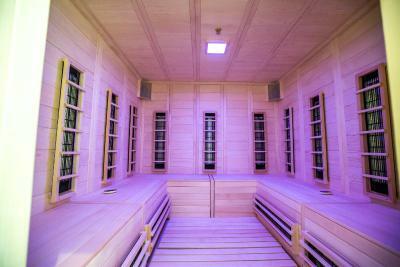 6 saunas, all new looking. 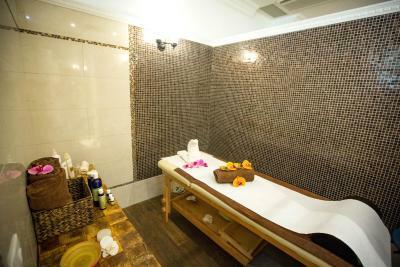 A special mention to Andrei, and Cristina at the massage section. A nice variety of breakfast buffet and special a-la-carte dishes, served in a very nice and clean mess hall. All in all, it was worth every penny, and I'm seriously considering to return to Minerva. Nice location.great staff although not all of them speaks english.great spa..good breakfast..nice things to visit but all is neglected...very sweet disk manneger marleen. The interior design: from the rooms to the lobby, the restaurant and especially the spa area, lots of thought was put into design. I absolutely loved the features and how they had been put together. The a la carte menu was quite good. Staff was overall quite alright, polite and nice, especially at the reception. 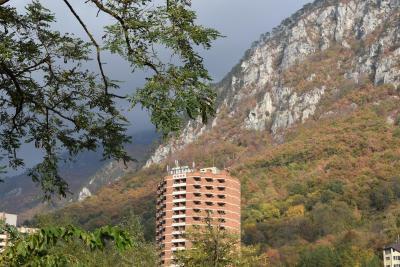 The views from the rooms are amazing, we were in the 14th floor and saw just autumnal mountains. Extremely clean hotel, excellent welness and spa area, nice breakfast with lots of choices. Grand Hotel Minerva Resort & SPA This rating is a reflection of how the property compares to the industry standard when it comes to price, facilities and services available. It's based on a self-evaluation by the property. Use this rating to help choose your stay! 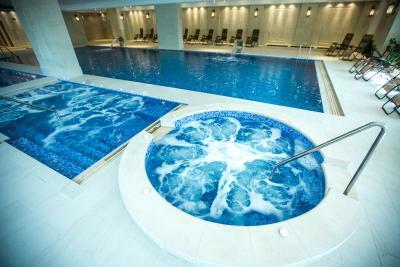 One of our top picks in Băile Herculane.Located in the center of Baile Herculane resort, one of the oldest spa resorts in the world, Grand Hotel Minerva Resort & SPA offers its guests a fully-equipped spa center, a swimming pool, a fitness center and a bar. 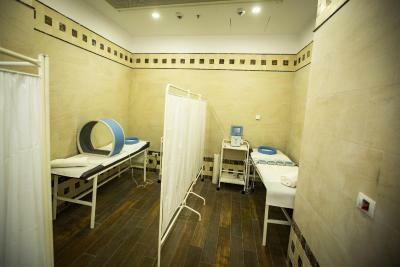 Various treatments are available, ranging from electrotherapy, magnet therapy and MLS laser therapy to galvanic baths and sulfur baths. 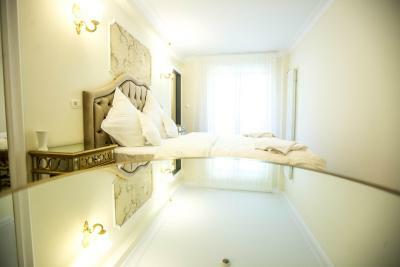 At the hotel, all rooms are decorated with classical elegance and are equipped with a balcony with mountain views. 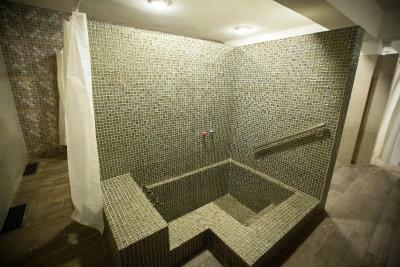 Rooms are complete with a private bathroom fitted with free toiletries, while certain rooms will provide you with a seating area. 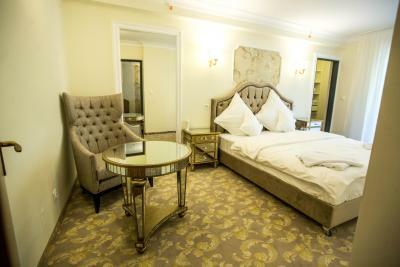 At Grand Hotel Minerva Resort & SPA, every room includes air conditioning and a flat-screen TV. Other facilities include a 24-hour front desk and a continental breakfast is served each morning at the property. You can enjoy a unique culinary experience at the two on-site restaurants. 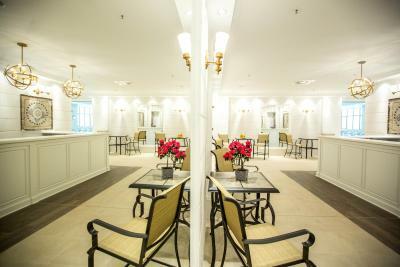 Free WiFi is available throughout the property and in-house parking is provided. A children's club can be found in the immediate vicinity of the restaurant and the terrace and features interactive games, toys, kids movies and cartoons and play-station and Xbox console. There are also various activities and games organized by professional animators. 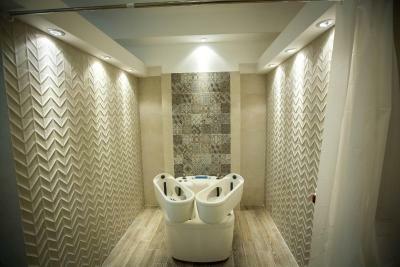 At the accommodations's spa center, there is a hot tub and a sauna included. 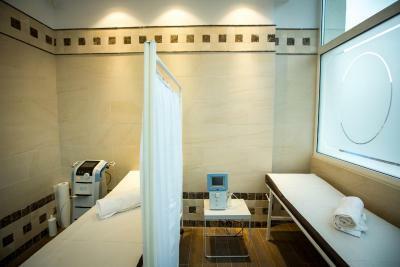 At an additional cost, guests can enjoy a variety of wellness facilities on-site, as well as different treatments. Domogled National Park is 6.2 mi from the property, while Drobeta-Turnu Severin is 21 mi from Grand Hotel Minerva Resort & SPA. Timisoara International Airport is 81 mi away. When would you like to stay at Grand Hotel Minerva Resort & SPA? This twin room features a balcony, soundproofing and bathrobe. This suite has a balcony, mini-bar and cable TV. 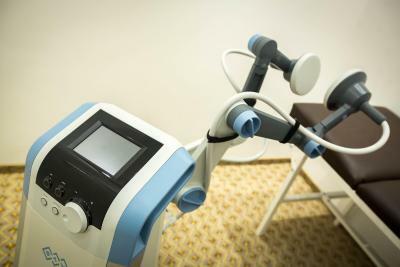 - 4 therapeutic procedures per day from the following options: short-wave therapy, ultrasound therapy, magnet therapy, radiofrequency ablation, kinetotherapy, paraffin, aerosols, bath with CO2 and Bulle, galvanic baths and sulfur baths. Please note that all the procedures are available from Monday to Saturday. 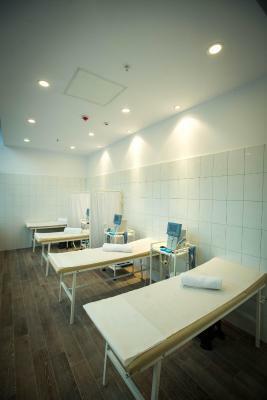 Access is permitted only with written medical recommendation. Please note that underwater showers are provided upon charge. House Rules Grand Hotel Minerva Resort & SPA takes special requests – add in the next step! Grand Hotel Minerva Resort &amp; SPA accepts these cards and reserves the right to temporarily hold an amount prior to arrival. Grand Hotel Minerva Resort & SPA accepts these cards and reserves the right to temporarily hold an amount prior to arrival. I don’t like because they lied to me that they are having thermal water in the pools and is not true .they have normal water which it was very cold, unprofessional employees (they came to clean the room and they didn’t knocked at the door, they don’t know how to repair the air conditioner and sent us from one to another to find the correct person which should give us informations about their treatments, we wait about 20 minutes for 3 orange juices).our door had a big space around and you could see on the hall and we didn’t have a safe box in the room. I was very disappointed about this location and we’ll never come back, so I don’t recommend. I like the food and the saunas. What they could do better is in the area of room servicing, for instance when we arrived there was a third foldable bed in the room, which we didn't ask for. Probably that was from the previous guests that stayed there before us. That gets one thinking if the room was actually cleaned before our arrival or not. I asked the lady at the reception to remove it and they quickly done so. Also the rooms were not cleaned every day, I had to request the room to be cleaned by placing the "Please clean up my room" sign in the door handle. And even so I received only [probably] a vacuum cleaning and towel and toilet paper replacement, no one did the bed or cleaned the bathroom. Another thing I didn't like was the fact that the water in the swimming pool was a bit cold for what one can expect from a location with thermal waters. I was expecting to get very hot water in order to relax. It was more suitable for water sports, not for relaxation. The water in the jacuzzi tank was a bit warmer, but not that much. 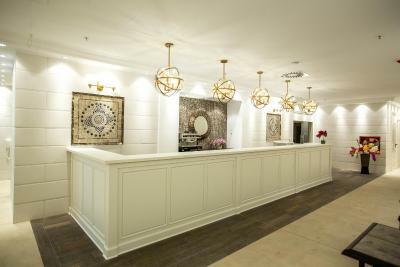 The hotel is fully restored. All appliances are new. It had fresh flowers in the hallways. The stuff at the reception was very kind and helpful. 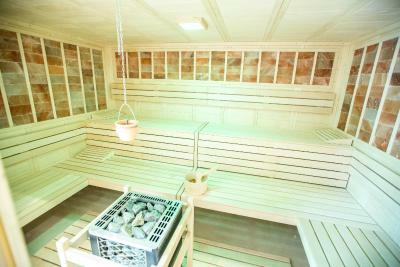 It has nice and diverse saunas, a large swimming pool and jacuzzi. The view from the balcony is great, especially if you chose a room at a higher floor. 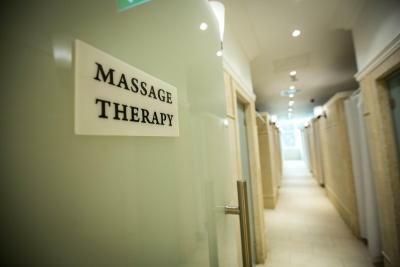 The massage was great and the masseurs were very kind and skilled. The food at the restaurant is great. The breakfast was very good and there were a lot of food choices, sincerely this was the best hotel breakfast I ever had, and I traveled a lot in Europe and stayed in lot of hotels, some of them much more expensive. The surrounding area is very nice, the Carpathian mountains in the region are very beautiful. You can do organized trips from there to nearby tourist attractions, like the face of Decebal on the Danube river and to some nice churches in the area, among other places. There are also a lot of hiking possibilities in the region, but you must take care because there are horned vipers in that region. And of course there are a lot of open air very hot pools, some of them are in Cerna river and most of them are in walking distance from the hotel (30 minutes walking at most). The parking arrangements: it is very crowded and not at all organised just next to the hotel. Additional parking is a bit far to walk from if you just forgot something in your car. There is a shuttle though. Small issues in the room: Even though the apartment was nice, we found lipstick marks on pillow cases and wiring coming out of the bathroom wall. Storage space in the bathroom is also very limited and unpractical. Spa: Staff in the spa was unaware of how to turn on ambient lighting so we were stuck with glaring spotlights. 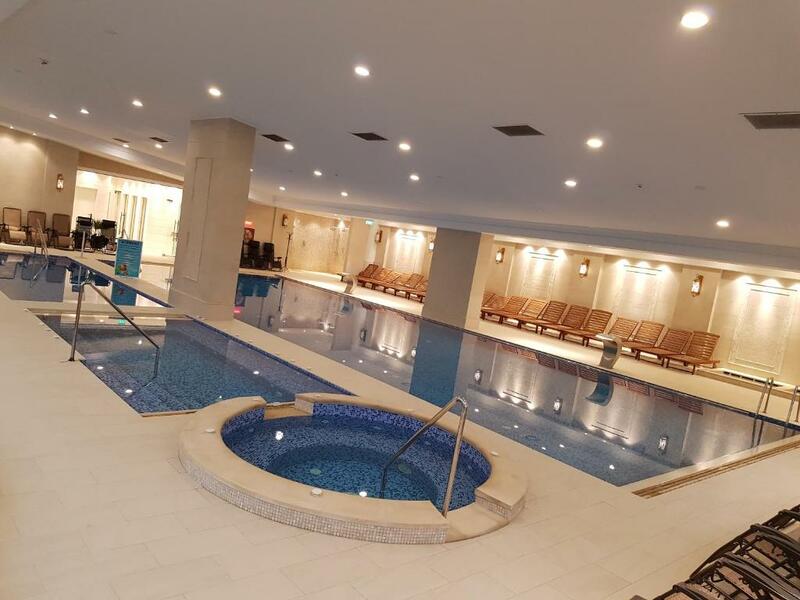 There were no rules posted for using the spa so people were entering the saunas with slippers and did not use towels, which was quite unsanitary. Breakfast: you could only have breakfast between 8:00-10:00 AM and there were simply not enough tables and coffee machines for the crowds. Also no black tea for breakfast. All clean and great personnel! LOST IN TRANSLATION 99% of staff does not speak english and also some of them were rude. Restaurant in hotel have no english menu. Waitress even try to help offering "google translate" option?! This is a 4 star hotel with excellent facilities but with poor service and useless staff. No drinking water in welness area, need to buy at the reception. Long queue for coffee in the morning, during breakfast. Only 1 coffee machine operating. Not recomended to foreign visitors. Only for local people. NEVER AGAIN.